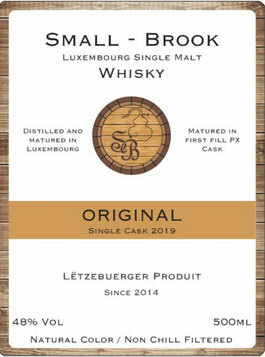 Here is finally the first SMALL-BROOK Single Malt Whisky! The Whisky matured in Oloroso and Bourbon casks and finished together in a Fino Cask. After 3 years it was bottled in 0,5L bottles. The bottles will be available at 12 o´clock on 13th February here in the online shop for 42€.